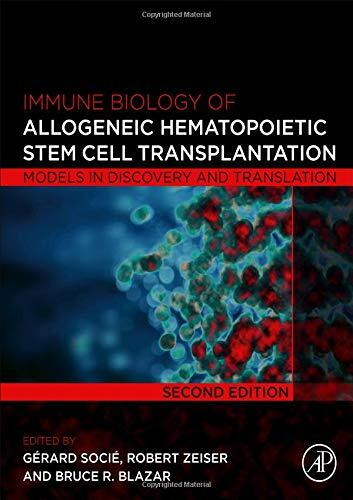 Since the original publication of Allogeneic Stem Cell Transplantation: Clinical Research and Practice, Allogeneic hematopoietic stem cell transplantation (HSC) has undergone several fast-paced changes. In this second edition, the editors have focused on topics relevant to evolving knowledge in the field in order to better guide clinicians in decision-making and management of their patients, as well as help lead laboratory investigators in new directions emanating from clinical observations. Some of the most respected clinicians and scientists in this discipline have responded to the recent advances in the field by providing state-of-the-art discussions addressing these topics in the second edition. The text covers the scope of human genomic variation, the methods of HLA typing and interpretation of high-resolution HLA results. 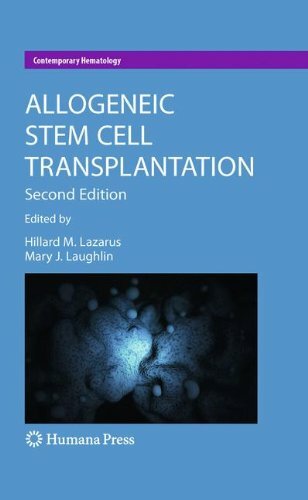 Comprehensive and up-to-date, Allogeneic Stem Cell Transplantation: Clinical Research and Practice, Second Edition offers concise advice on today’s best clinical practice and will be of significant benefit to all clinicians and researchers in allogeneic HSC transplantation. Non-myeloablative allogeneic stem cell transplantation (also known as mini-transplantation or reduced-intensity conditioning transplantation) is a major advance in the field of hematopoietic transplantation within the last 5 years. This approach uses non-cytotoxic or reduced-intensity cytotoxic therapy to prepare patients for allografting of hematopoietic stem cells and lymphocytes. It has the potential to deliver the potent anti-tumor immunotherapy and bone marrow replacement capacity of allogeneic stem cell transplantation to patients with reduced treatment-related morbidity and mortality. It may also enable allogeneic transplantation in patients who would be considered ineligible for conventional transplants because of co-morbidity or advanced age. However, this approach may necessitate more careful monitoring of post-transplant chimerism and malignant disease-status than is usual with conventional allografting. There is also controversy regarding the best preparative regimen and graft-versus-host disease prophylaxis to use.